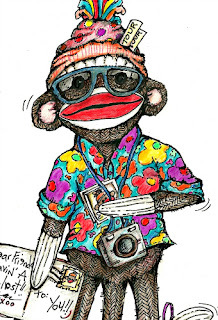 Pop Art Minis: Sock Monkey End of Summer Tour-ist...Postcards, Pictures and Parties! 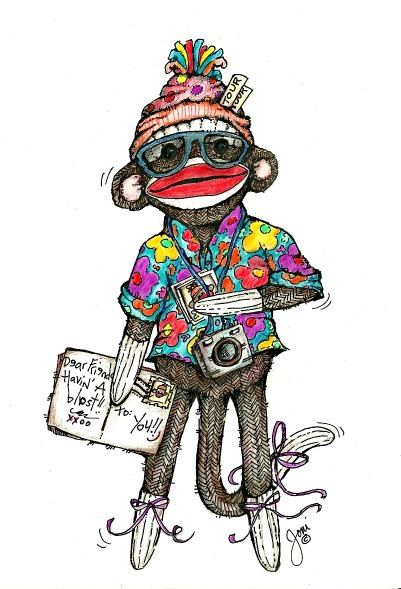 Sock Monkey End of Summer Tour-ist...Postcards, Pictures and Parties! I've been on an all out Sock Monkey kick for the last few days and it seems the inspiration continues! 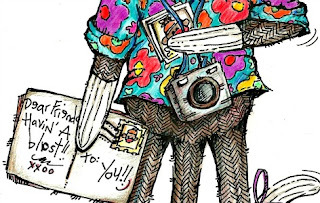 With the end of summer fast approaching and being on an end of summer vacation myself, I was inspired to create a silly sock monkey that took the vacation tourist look to a whole different level! The result...A Sock Monkey End of Summer Tour-ist...complete with camera, postcards, sunglasses, snapshots and a colorful Hawaiian shirt...ready to party for sure! The visit with family and friends here in Illinois is going great! 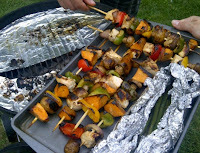 In fact had an awesome meal on the grill last night! YUMMY! Lots of laughs too! 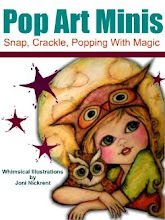 Today looking forward to painting a mural for my Niece and Nephew-in-law's Baby Nursery! Will for sure share the adventure as it unfolds! Plan on meeting up with friends in Kewanee later in the week for yoga (what? yeah, that's what I said) lunches, a "sock monkey" birthday party (watch for some fun decorating and party ideas) and of course Hog Days! Hope your end of summer days are going great too! 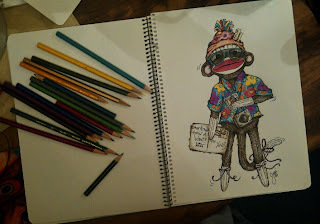 I am loving your drawings!FABULOUS! OMG!!!!! LOVE IT. The detail is amazing. I can't image the time it took but visually so worth it. This piece just rocks. Thanks so much for your lovely comments on my spooky post yesterday. Have a great week. Your drawings are beautiful! 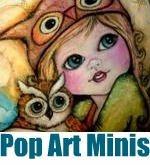 We are always looking for new artists to join our gallery. You should check us out! 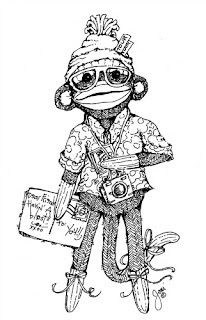 Nice sock monkey drawings! My grandmother made each of us a sock monkey when we were kids. A few years ago I went as one for halloween. I made a full body costume, and using the same type and color of material. It was pretty exact, but both terrifying (I'm 6"3") and loveable at the same time. I got a lot of hugs that night from women. ha! 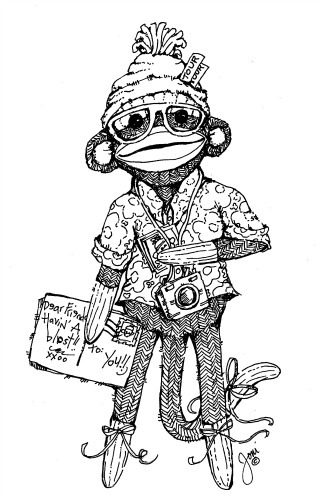 Glad you are having a great time with family and friends, and still not forgetting your monkey-business!